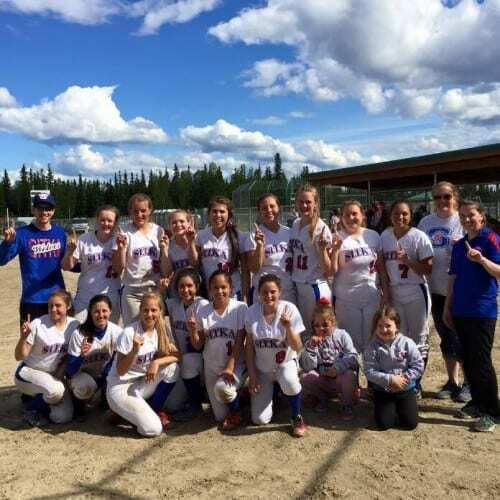 The Sitka Lady Wolves have done it again, bringing home their fifth victory trophy in the last six seasons from the Alaska School Activities Association/First National Bank Alaska Softball Small Schools State Championships. Head Coach Jael McCarty was joined by three of the fourteen Varsity players: Zosha (Zoe) Krupa (’17, pitcher), Kelcie von Scheerschmidt (’16, left fielder), and Meaghan Way (’16, center fielder). The Wolves talk about the two games that earned them the title, both against rival Ketchikan, on Saturday, June 6, 2015 in Fairbanks. Krupa was the game winning pitcher and von Scheerschmidt hit the double that ended the game.